Pen and brown ink, over several lines in red chalk, on paper; horizontal line incised with stylus between two designs; pricked with compass; verso: pen and brown ink; three horizontal lines incised with stylus. Inscribed at lower left, in black chalk, "2(? 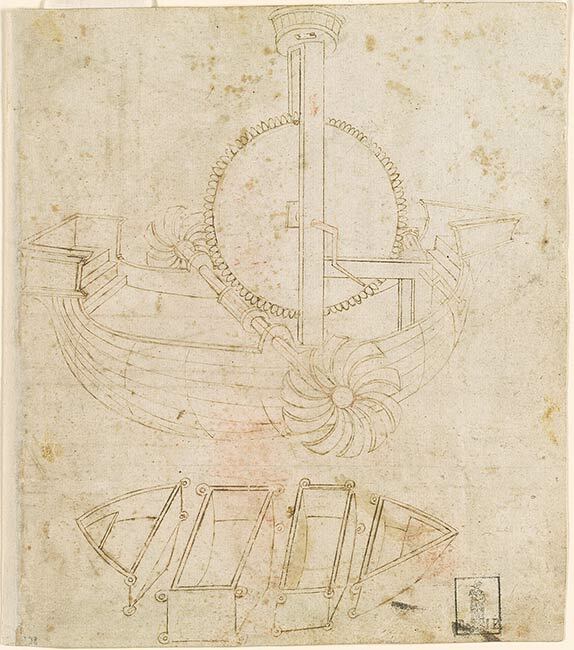 )38"; faintly, at lower right, in black chalk, "Leonardo?". Dr. Ludwig Pollak (Lugt S. 788b); J. Weitzner, New York; from whom purchased in 1963 by János Scholz, New York (no mark; see Lugt S. 2933b). Ryskamp, Charles, ed. Eighteenth Report to the Fellows of the Pierpont Morgan Library, 1975-1977. New York : Pierpont Morgan Library, 1978, p. 263. 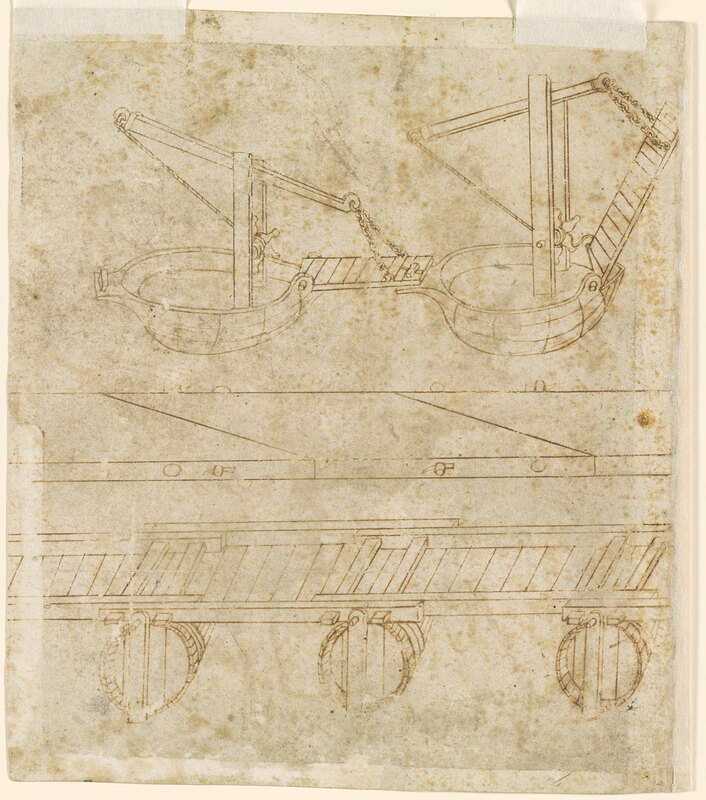 János Scholz, Italian Master Drawings, 1350-1800, from the János Scholz Collection, New York, 1976, no. 9, repr.